The weather is finally cooling down here so now it isn't completely crazy to wear jeans. I saw this blouse at a local thrift store and scooped it up so quickly. 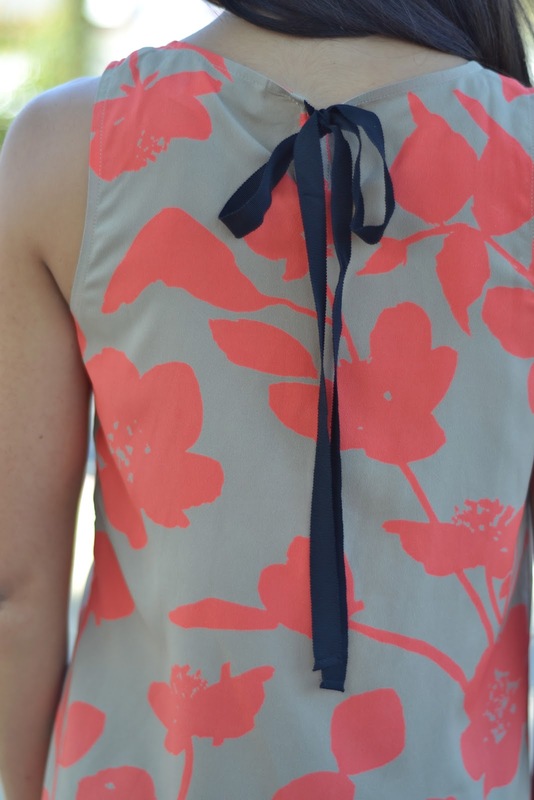 The mix of the neon coral with the tan is a beautiful combination and takes the center stage in any outfit. I decided to go with my dark skinny jeans and tan heels to keep the colors consistent. Another piece of the blouse I adore is the little bow detailing on the back- it adds the perfect feminine touch to an already amazing blouse. 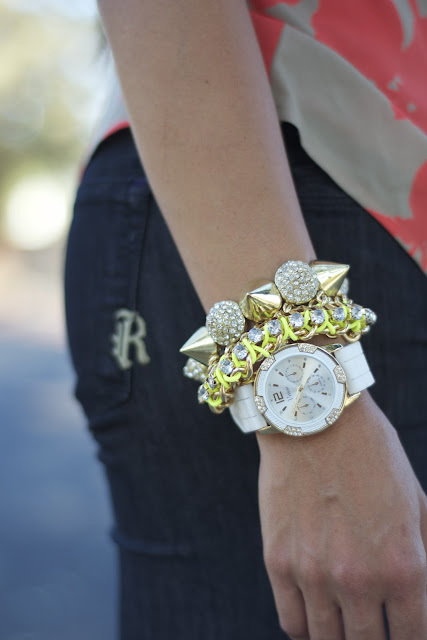 Oh my gosh I love this outfit and your accessories! LOVE this. You look gorgeous! That top is so pretty! I love the bracelets with it. This might sound dumb.. What's a thrift store? Examples?